Birthday gift for my sweet friend Becky. She is a newlywed and I thought they could write sweet notes to each other. 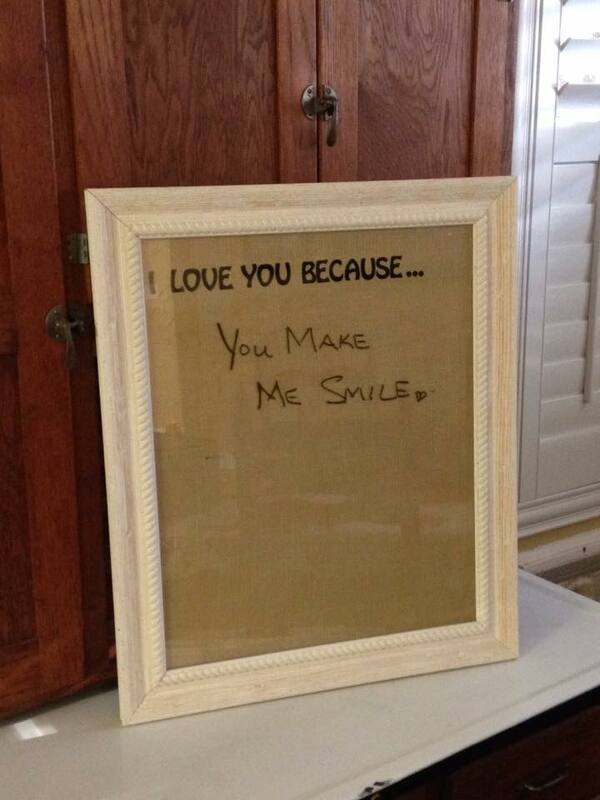 I took a picture found at a GS, covered the cardboard with burlap and stenciled a cute “I love you because….” Use a dry erase marker.